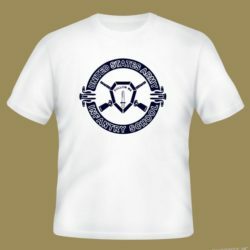 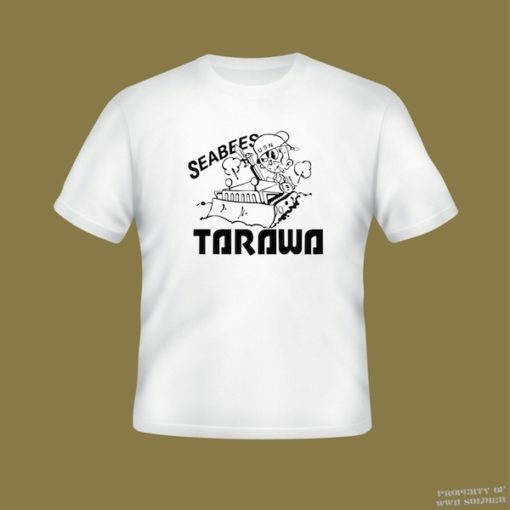 This U.S.Navy Seabees Tarawa PT shirt is a reproduction of an original WWII PT shirt from a Life magazine photograph taken in 1944 on Tarawa, Gilbert Islands, during an impromptu concert for the troops stationed on the island during WWII. 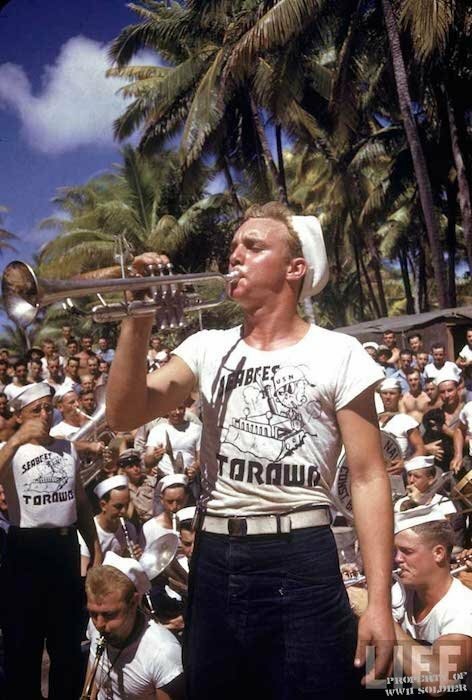 The photographer was J. R. Eyerman. The shirt says Seabees Tarawa. 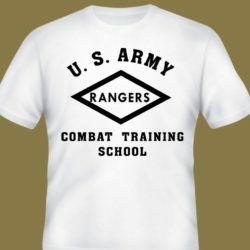 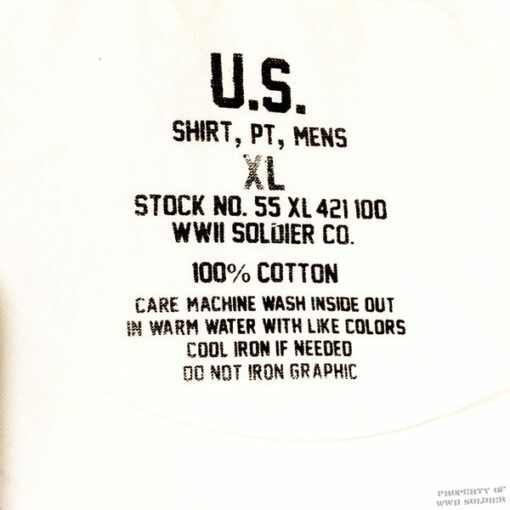 During WWII, athletic style t shirts were available for purchase at the PX and were commonly used in training and athletic situations. PT shirts with a variety of different unit logos are well documented in many WWII photographs.